Ritsema, Rudolf, and Karcher, Stephen. 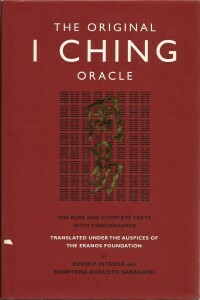 I Ching, The Classic Chinese Oracle of Change, Element Books, Shaftesbury, Dorset, 1994. Ritsema, Rudolf, and Sabbadini, Shantena. Eranos I Ching: il libro della versatilità, Red Edizioni, Como, 1996. Ritsema, Rudolf, and Schneider, Hansjakob. Eranos Yi Jing, Das Buch der Wandlungen, O.W. Barth, Munich, 2000. Gaudissart, Imelda and Pierre (under the direction of Rudolf Ritsema), Le Yi Jing Eranos, Encre, Paris, 2003. Ritsema, Rudolf, and Sabbadini, Shantena, I Ching, il Libro dei Mutamenti, URRA/Feltrinelli, Milano, 2011. 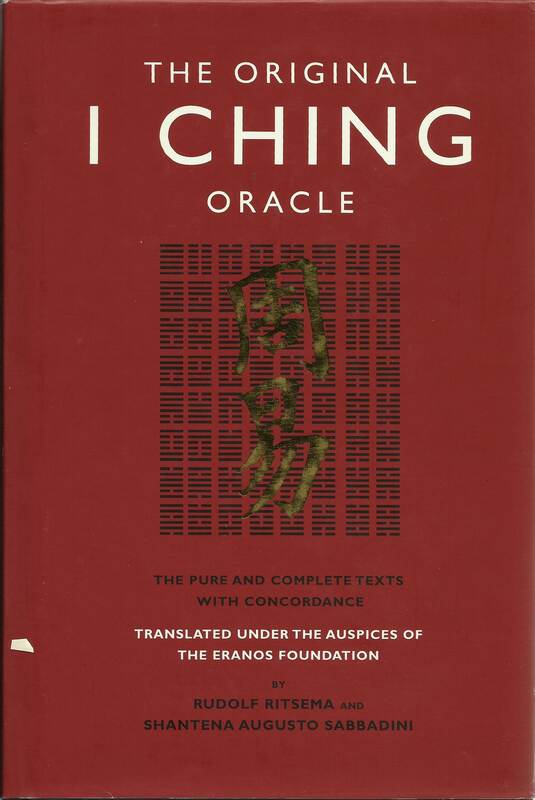 The Eranos I Ching is the ultimate product of fifty years of I Ching studies by Rudolf Ritsema and of ten years of experiential I Ching work in the Eranos Round Table Sessions. The translations have been conducted on the classic Palace Edition of the I Ching published by the emperor Kang Xi in 1715, of which Rudolf Ritsema owned a rare copy. The innovative translation method renders each Chinese ideogram always by the same “core-word” and amplifies it by an associated “field of meaning,”, allowing the Western reader to access the full imaginal wealth and subtlety of these texts without being confined by the specific interpretation chosen by a translator. This approach moreover makes a concordance to the oracular texts possible for the first time in a Western language. The Eranos I Ching invites the reader to “roll and turn the words in his or her own heart,” as the Chinese say – to become an active participant, a co-creator of an imaginal journey in which a deeper wisdom may be accessed and a natural re-arrangement of a life situation may take place. Thus the oracle becomes a tool for self-knowledge, a “mirror of the present” and a support for conscious action (which is the most powerful form of magic! ).